About 6:30 am this morning I slipped into the warm pacific ocean at one of my favorite surf spots & there was a tropical storm out by the horizon and even though it was getting light the (nearly) full moon above was clear and gorgeous! Nobody around as the surf was a surprise at shoulder to head high! The slap & pop of whales breaching was clear in the air....but I looked and looked and could not see them. Later I saw the spouts of a group of whales and they were not breaching but slapping their tales smack and pop on the surface again and again. Wow, so magical. What a morning! I just enjoyed 3 days with my company Hawaii Life at the Mauna Kea Beach Hotel on the Big Island of Hawaii. We had one of the most beautiful beaches with sugary white sand as back drop, while Hawaii Life hosted the Worth Shop 8 event. Many Ceo's of our industry and related industries spoke to us and other leading Realtors, Architects, Zillow professionals, Concierge Auctions owner and staff, Philpotts Interiors, International Well Building Institute and so many more from around the country. 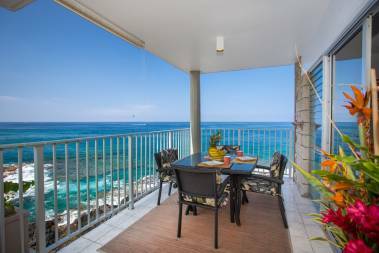 Among a ton of new information the gold nugget I heard is our Hawaii market is in demand as many investors are taking stock market funds and investing in Real Estate. I will look forward to this event next year! 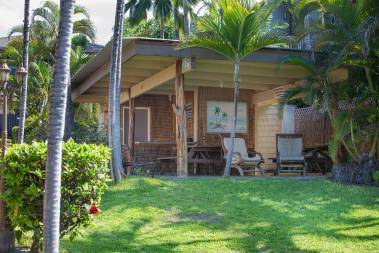 Heidi has many years of experience and a deep understanding of Hawaii's real estate market - whether you want oceanfront property (her specialty!) or a place on a tropical mountainside with ocean views, her expertise in making the home buying process smooth and enjoyable will make your entire experience a pleasant one. The payoff? You get to spend the rest of your life in a paradise others only dream about! Arriving in the islands in the early 1970's on the family schooner, the shoreline called to her with the windblown fragrance of plumeria blossoms mixed with salty trade winds. Even today Heidi begins most mornings in the water as the daylight dawns over Hualalai mountain, surfing her favorite "surf spots" (many of which were King Kamehameha's surfing grounds). Heidi's passion for the island's ocean and shorelines naturally makes her "The Island Ocean Front Specialist"The mysteries and miracles of Heidi's love for outdoor beauty came natural growing up on the Northern California coast of Mendocino County. Riding horses on rugged trails through redwood forests and green rolling hills with her family at five years old graduated to exploring the deep blue sea on the family's 50 ft schooner, "Bobolink". During Heidi's teenage years her family outfitted and provisioned "Bobolink" and set out on a seven year journey through the South Seas. Under her seafaring father's tutoring she learned to use a sextant to plot navigating positions and became an accomplished and fearless sailor. After exploring many South Sea island nations, New Zealand became the family's home. Heidi studied in Auckland and became a New Zealand Air flight attendant. After residing in New Zealand for nearly three years, Heidi chose to return to the United States with her family and they sailed back toward California in 1979. She stayed on the Big Island of Hawaii where she then married and settled in Puako where she lived for 9 years. This small island community continues to be a favorite in her heart. Her love for Polynesian culture, climate and beauty is reflected in her respect for the "aina" (land), and Hawaii's people, throughout all of the islands. When she became a realtor, applying the respect she holds for these special islands as a part of her being became paramount in her business philosophy. Heidi is known for attention to detail and leading Buyers & Sellers through a smooth transaction. Her clients return to do business with her again & again. Today she uses her knowledge of the many climates of Hawaii, taken from her years of exploring with her children in this botanical wonderland. Camping and surfing are a lifestyle for them. 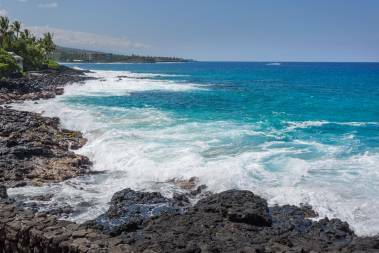 Heidi is eager to share her passion for these Islands of Hawaii.